The illustrations in the Beatrix Potter books for children were remarkable pieces of art, but in fact her artistic endeavours went far beyond these. Among other things she demonstrated high skills in botanical drawing and much of her work in this field is of considerable scientific importance. The many Beatrix Potter illustrations of insects, flowers and generally the natural world around her Lake District home represent an outstanding achievement which is too rarely recognised. Her great work as a children’s writer should not be allowed to overshadow other aspects of her multi-talented career, and here is a book that aims to redress the balance. 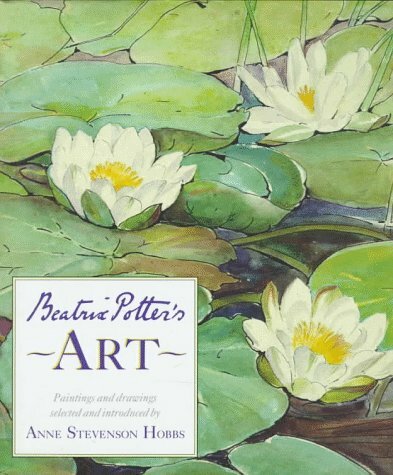 Beatrix Potter’s Art by Anne Stevenson Hobbs is not widely available now, and is not cheap, but will be treasured for many years to come by Beatrix Potter admirers who get a copy while they’re still obtainable. Click here or on the cover image below for details.